A dog that jumps on guests (and you) can be annoying, but it can also harm them or damage their clothing. Elderly people, small children and those with mobility problems are especially vulnerable to being harmed by a dog that jumps up. The dog’s nails can scratch skin painfully, and large dogs would have no problem knocking an adult off balance. To avoid alienating visitors, train your dog to keep his feet on the floor at all times. 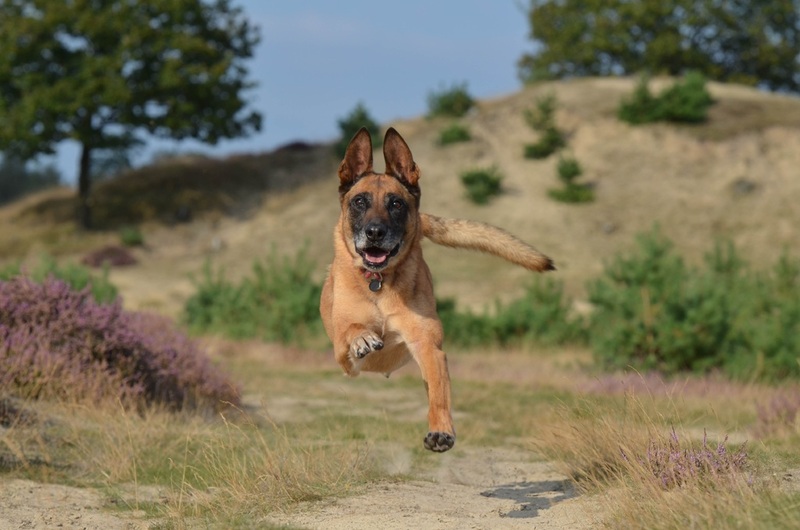 You may think that jumping up is not a big problem because your dog is a small breed or just a puppy. However, puppies grow quickly, and even if your dog is small, she can still hurt people or trip them up if she has a bad habit of jumping up. Let’s look at the steps involved in training your dog not to jump on visitors. Step 1: Realize why your dog jumps up in the first place. She is probably curious or seeking attention. For dogs, sniffing is a way to get to know new people, and most mean no harm by jumping up to get a better smell. In some cases, uncertainty or stress can make your dog feel the need to ‘stand up’ in order to get closer to you or a guest. You must create a consistent environment for your dog, one where she knows she will not be reprimanded for seeking comfort. But you also must not give her attention – whether praise or punishment – for putting her paws on guests. Step 2: Begin training by entering the house as you would at the end of your workday or after an extended absence. If your dog jumps on you when you come in, do not react in any way other than to walk back outside. Reward the dog with praise and a treat if she stays on the floor. Do this exercise 5-10 times regardless of the dog’s success rate. Don’t tell her ‘no’ or ‘get down.’ Any words or touching (even pushing the dog away) will be seen a success for a dog seeking attention. Keep your behavior consistent, and tell others how to treat the dog, too. The biggest factor in making sure that your dog does not jump up on anyone who walks in the door is to teach her that she will not get attention right away. As soon as the dog understands this, she will not get excited the moment a visitor steps in the door. Each day when you come in, follow a routine that the dog can recognize. Put your keys down, hang up your coat and go to the restroom, for example. Then, when the dog has seen that there is nothing to be overly excited about, show her some attention with petting and soothing words of praise. The creation of this routine will comfort your dog because she will not feel confused or apprehensive about what will happen next.